This Pangram Puzzle is to test your English Language Knowledge. Pangram means sentence that uses every letter of the English Alphabet at least once. A Perfect Pangram is the sentence which uses each alphabet of English Language exactly once. 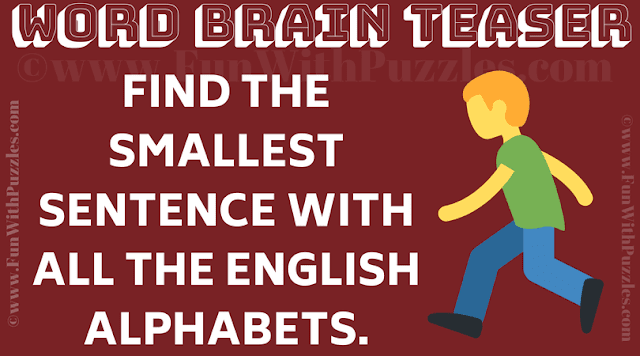 Lets see if you can create a Pangram or Find the smallest sentence with all the English alphabets? Can you solve this Word Brain Teaser by creating a Pangram? Answer of this "Pangram Puzzle in English", can be viewed by clicking on button. Please do give your best try before looking at the answer.